When I first started homeschooling my oldest, I was completely unsure of where to even begin. I didn’t want to spend a lot of money on a preschool curriculum, but I wanted him to get a solid foundation before we actually dove into “real” homeschooling when he started kindergarten. I wish I would have had a planner that told me exactly how to set up our week, but gave me the flexibility to choose our own activities. I never found that, and five years later, I still haven’t found anything like that. 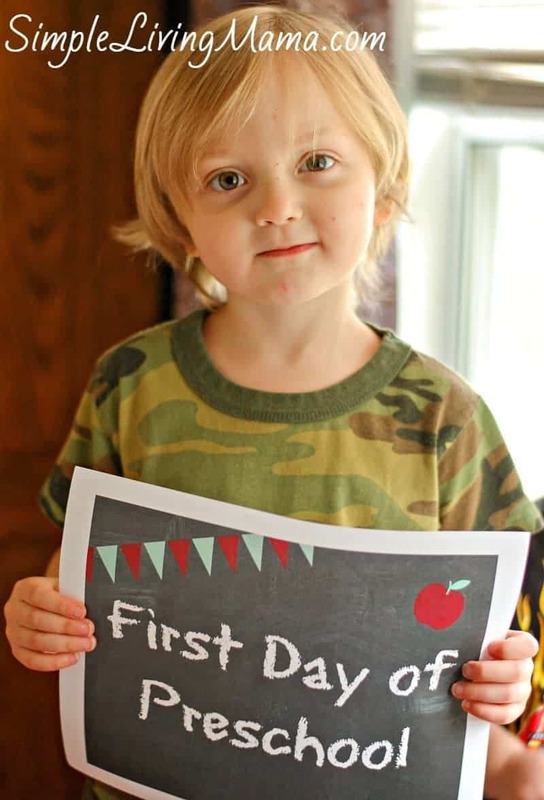 Now, my third child is a preschooler and he wants to “do school” like the big kids. I don’t have the extra budget to buy a complete preschool curriculum for him, but I know there are tons of free and inexpensive resources available on the Internet. I need a way to organize all of the information I am gathering, as well as a visual reminder of some of the things I should be teaching him. 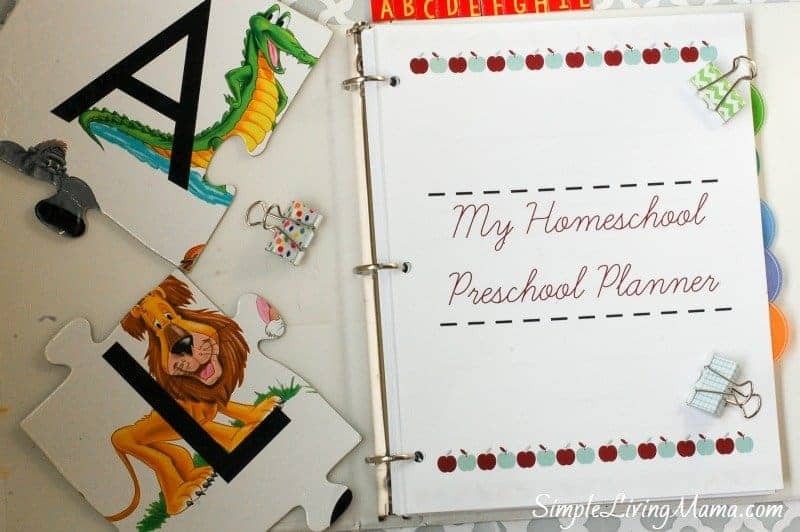 That’s why I created My Homeschool Preschool Planner. 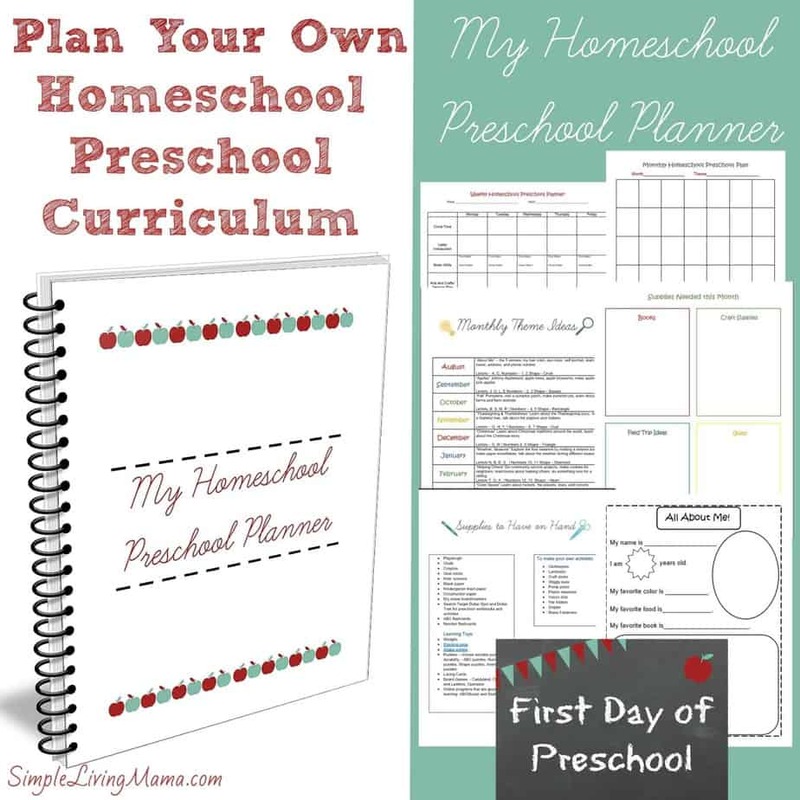 I designed My Homeschool Preschool Planner to guide you through planning your very own homeschool preschool curriculum. 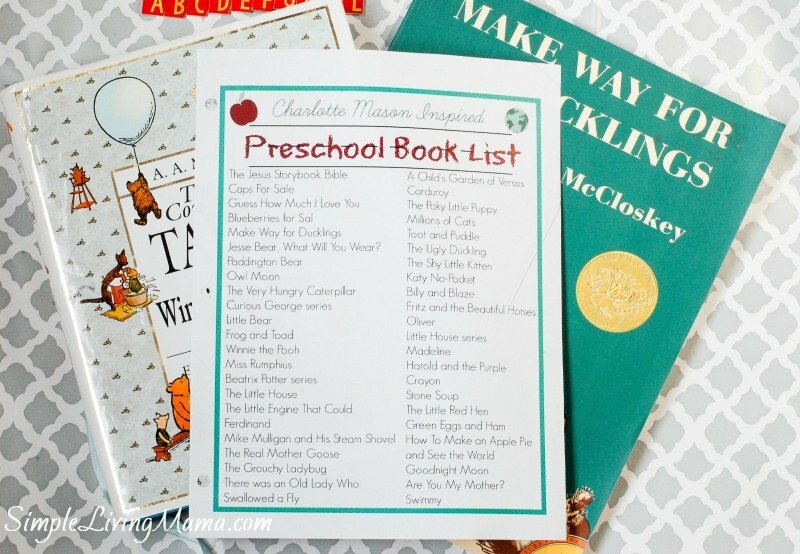 After doing homeschool preschool with two children, I feel I have a good handle on what children need to learn to get ready for homeschooling kindergarten. I designed a weekly layout with space to plan Calendar Time, Letter Introduction Activities, Motor Skills, Arts and Crafts/Sensory Play, Read Alouds, and Outside Play Times. If you are doing 26 weeks of school, print 26 weekly layout pages. 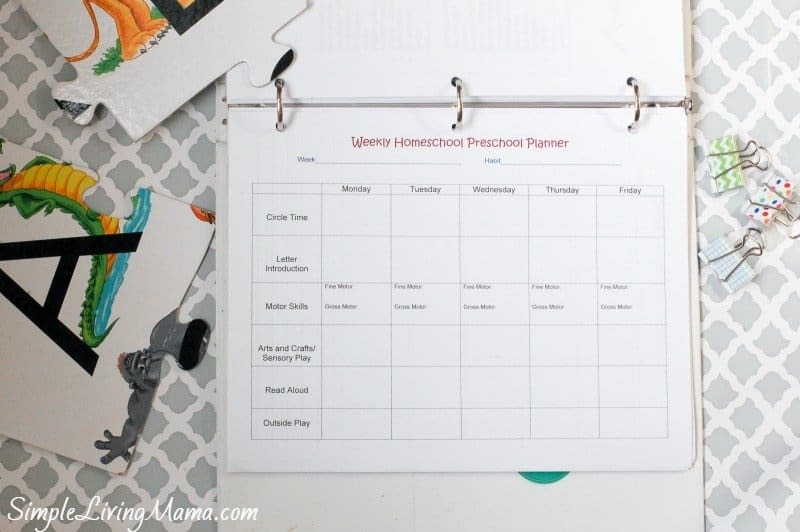 The monthly planning pages can be used to plan big activities. I created a supply list of items I find handy to keep around when I need to pull out an activity for my preschoolers. 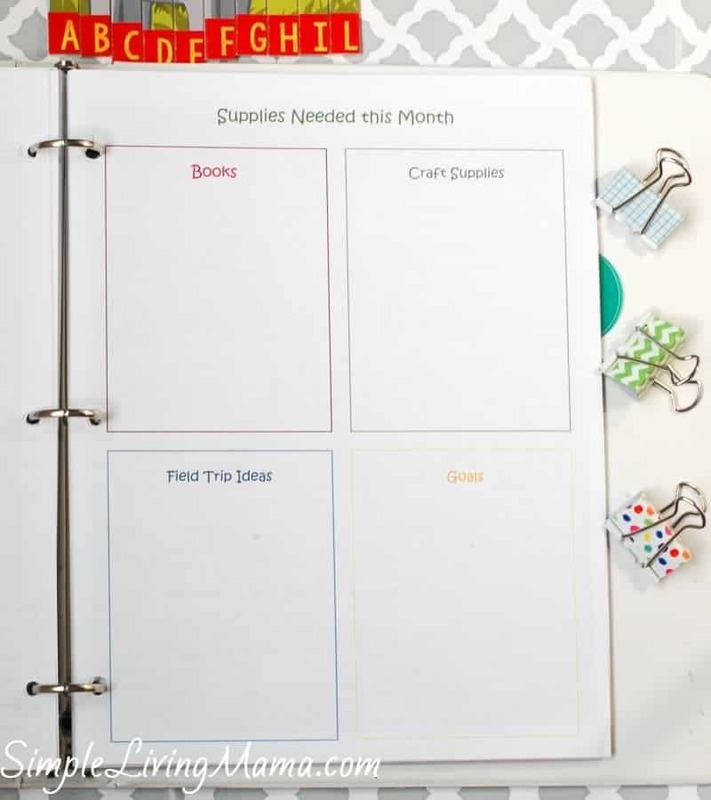 The monthly supply and field trip page will let you make sure you have the correct supplies on hand for any craft projects you have planned, as well as plan any books you want to read, field trips you want to take, and your monthly goals for your child. 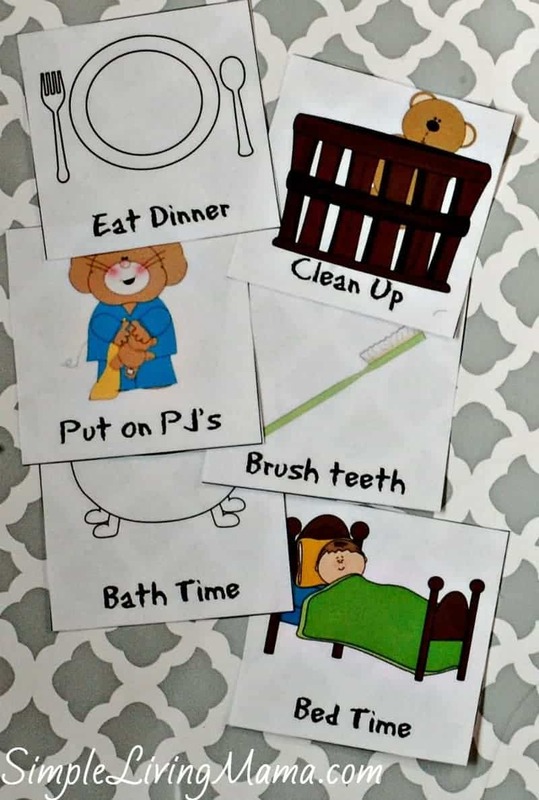 The preschool activity pages provide lots of ideas if you’re stuck, and so do my monthly themes pages. There are blank monthly themes pages to help you plan your own themes. 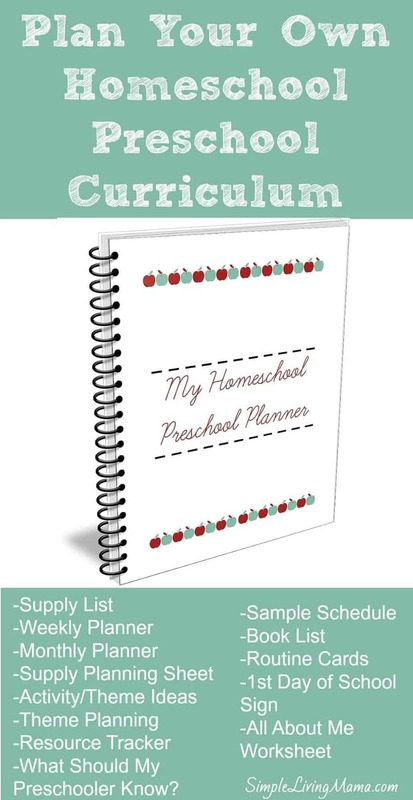 I wish I had this planner when I first started homeschooling preschool! 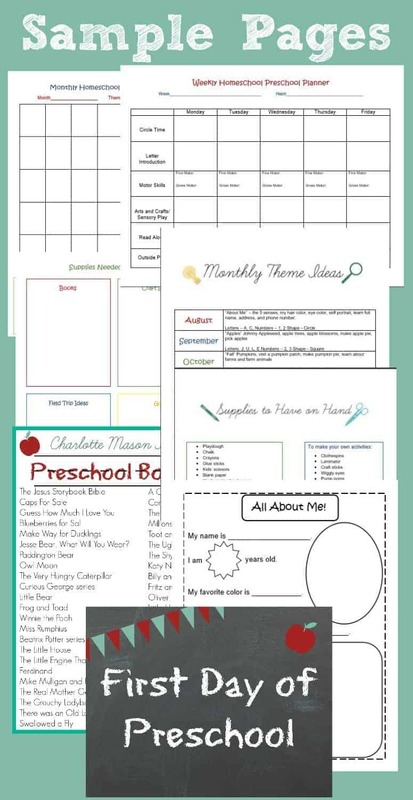 All About Me worksheet that makes a great keepsake from the first day of school. You are the best teacher for your child, Mama. You can do this! 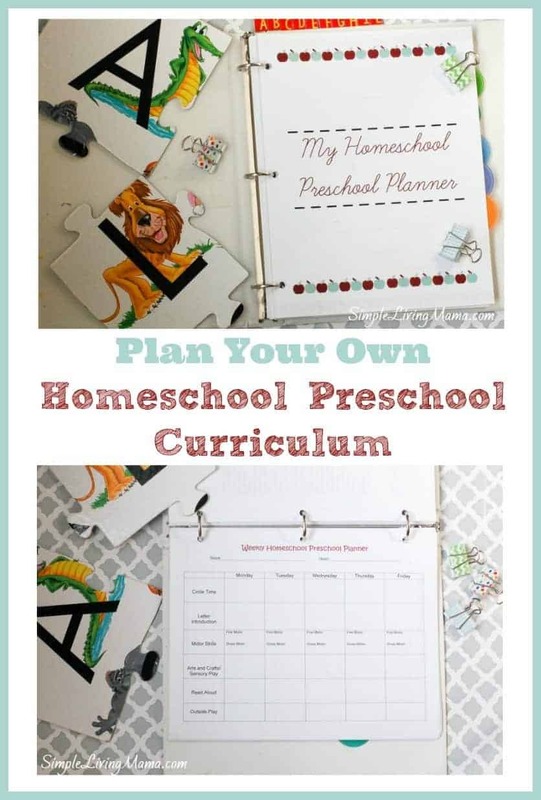 My Homeschool Preschool Planner can help!